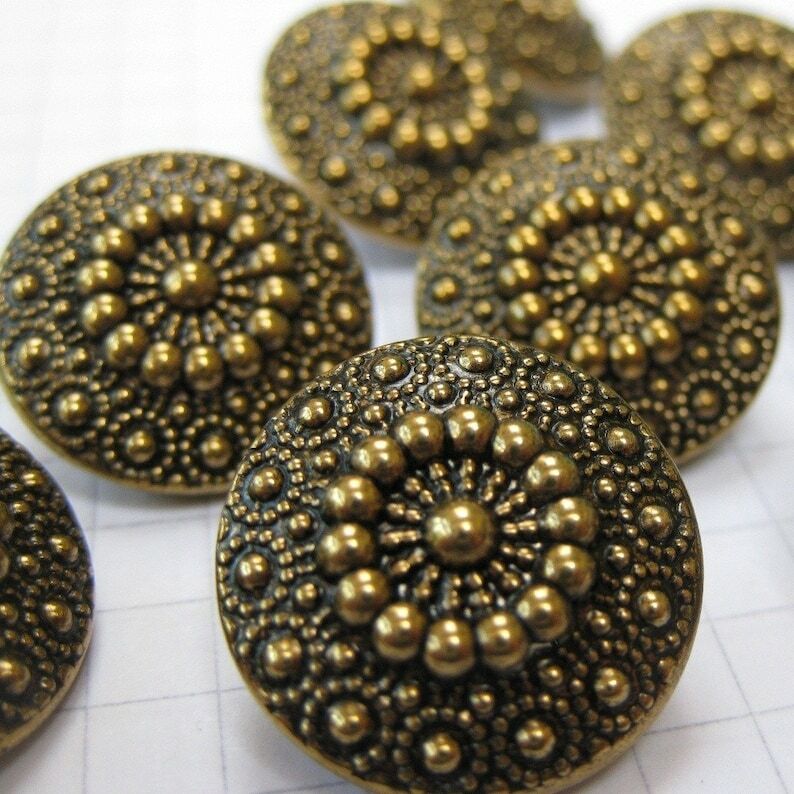 10 beautiful ornate moulded metal shank buttons in an antiqued bronze finish. Loved then so much i bought some more, should look great on my new coat. Aaar! Arrived so quickly! Excellent quality that I ordered two packs!